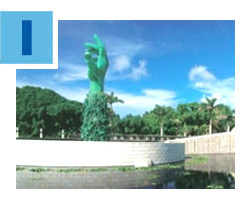 Due to expected inclement weather, the location for Holocaust Remembrance Day and Interfaith Community Gathering this Sunday, April 23 has been changed to Temple Beth Sholom, 4144 Chase Avenue, Miami Beach. Join the Greater Miami Jewish Federation as we remember those who died in the Shoah, and honor those who survived. Local dignitaries and interfaith leaders will discuss the need to stand together in the wake of the rise of anti-Semitism and hatred. Click here for details. Twenty-eight legal professionals from Miami’s Jewish community recently spent a week in Israel with the Attorneys’ Division of Federation. Highlights of the trip included meeting with former Supreme Court President Judge Asher Dan Grunis, a private tour of the Yitzhak Rabin Center, and a session with the award-winning Robotics Team, based in Federation’s partnership city of Yerucham. Alan Kluger chaired the Mission, which inspired participants to increase their commitment to the Annual Federation/UJA Campaign. Read more. Now that Passover has ended, make “Next year in Jerusalem” a reality! 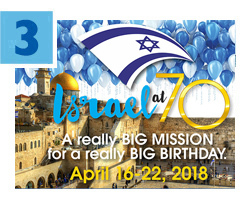 Join Federation, your friends, family and Jewish community April 16-22, 2018 for the trip of a lifetime to celebrate Israel’s 70 birthday. 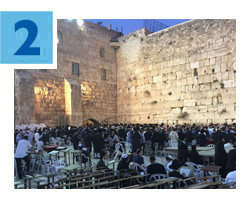 The journey includes time in Tel Aviv and Jerusalem, five incredible big events, as well as programs commemorating Yom Ha’Zikaron (Memorial Day) and celebrating Yom Ha’Atzmaut (Independence Day). For more information, click here. Are you new to Miami and searching for a way to connect to your Jewish community? Look no further! 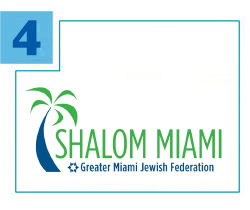 Shalom Miami, a Federation program focused on welcoming new residents to Miami-Dade County, wants to help you settle into your new home. Learn about Miami’s Jewish education opportunities, participate in local events, get involved with our Jewish Volunteer Center, and so much more. Enroll here to receive a complimentary welcome gift and be connected to one of our Welcome Ambassadors. Federation and our overseas partner, the American Jewish Joint Distribution Committee (JDC), funded by the Annual/UJA Campaign, are focusing on the needs of parents of babies and young children in Israel. JDC’s “Healthy Parenting” program recognizes that parents’ emotional well-being is just as important for a healthy lifestyle as nutrition and activity. With instruction from early childhood development professionals and innovative and interactive lessons, the three-step plan provides parents with effective skillsets and information about the importance of healthy food and an active lifestyle.